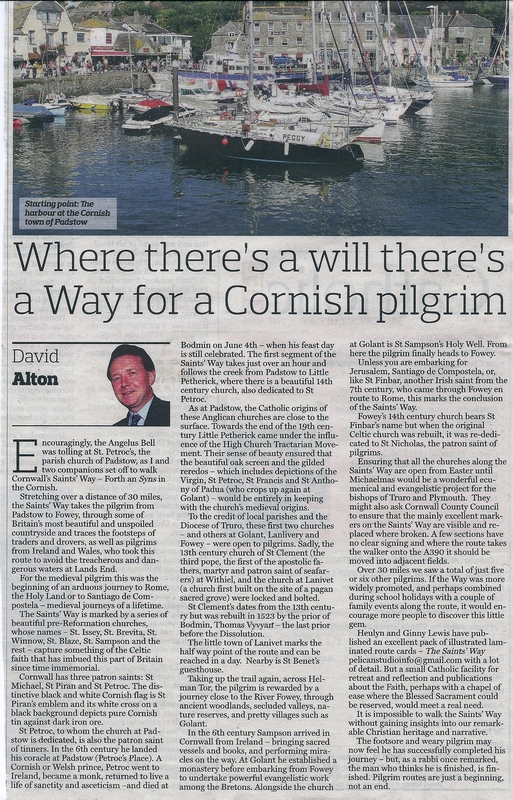 Encouragingly, the Angelus Bell was tolling at St. Petroc’s, the parish church of Padstow, as I and two companions set off to walk Cornwall’s Saints’ Way – Forth an Syns in the Cornish. Stretching over a distance of 30 miles, the Saints’ Way takes the pilgrim from Padstow to Fowey, through some of Britain’s most beautiful and unspoiled countryside and traces the footsteps of traders and drovers, as well as pilgrims from Ireland and Wales, who took this route to avoid the treacherous and dangerous waters at Lands End. For the medieval pilgrim this was the beginning of an arduous journey to Rome, the Holy Land or to Santiago de Compostela – medieval journeys of a lifetime. 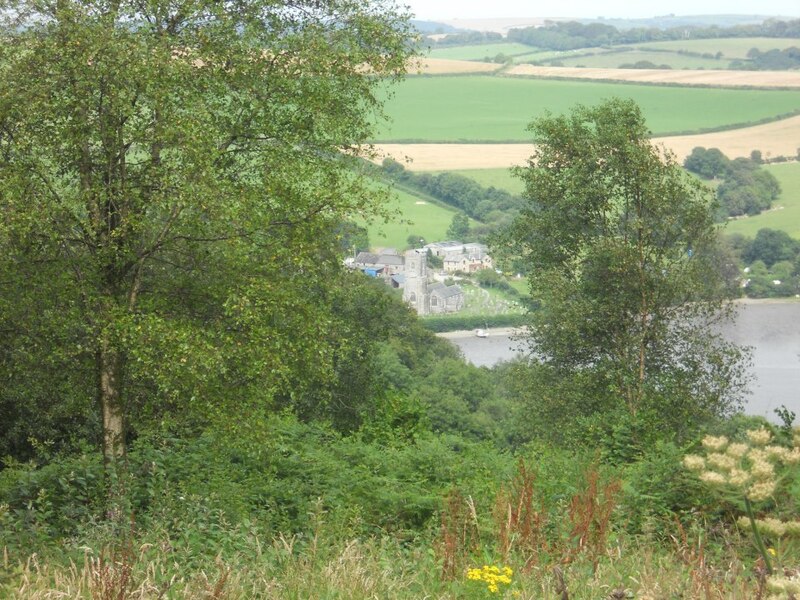 The Saints’ Way is marked by a series of beautiful pre-Reformation churches, whose names – St. Issey, St. Brevita, St. Winnow, St. Blaze, St. Sampson and the rest – capture something of the Celtic faith that has imbued this part of Britain since time immemorial. 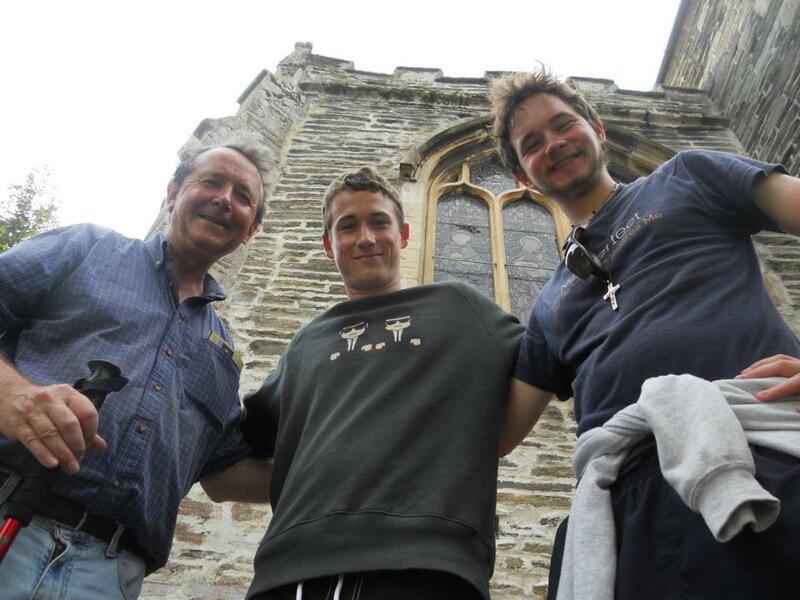 Cornwall has three patron saints: St. Michael, St. Piran and St. Petroc. The distinctive black and white Cornish flag is St. Piran’s emblem and its white cross on a black background depicts pure Cornish tin against dark iron ore.
St.Petroc, to whom the church at Padstow is dedicated, is also the patron saint of tinners. In the 6th century he landed his coracle at Padstow (Petroc’s Place). 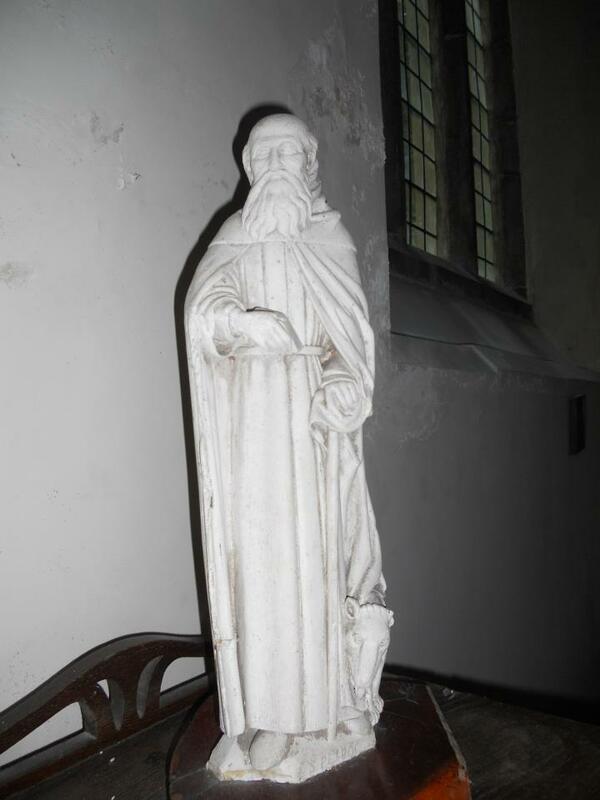 A Cornish or Welsh prince, Petroc went to Ireland, became a monk, returned to live a life of sanctity and asceticism –and died at Bodmin on June 4th – when his feast day is still celebrated. 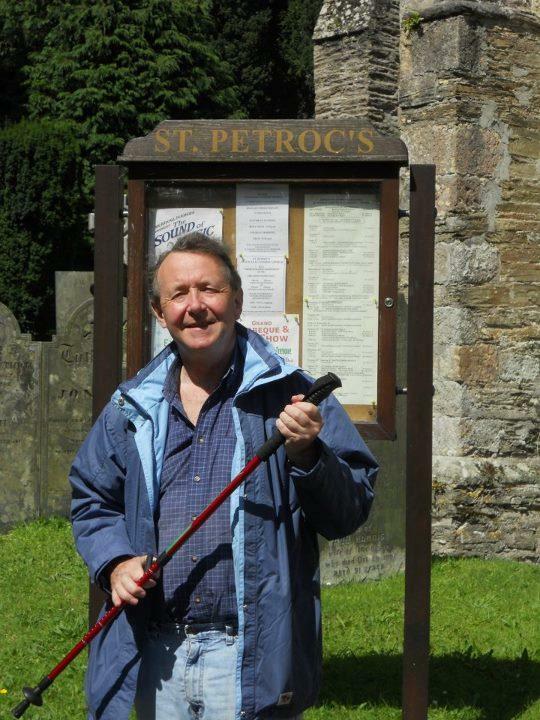 The first segment of the Saints’ Way, takes just over an hour and follows the creek from Padstow to Little Petherick, where there is a beautiful 14th century church, also dedicated to St.Petroc, and restored twice in the last 150 years. 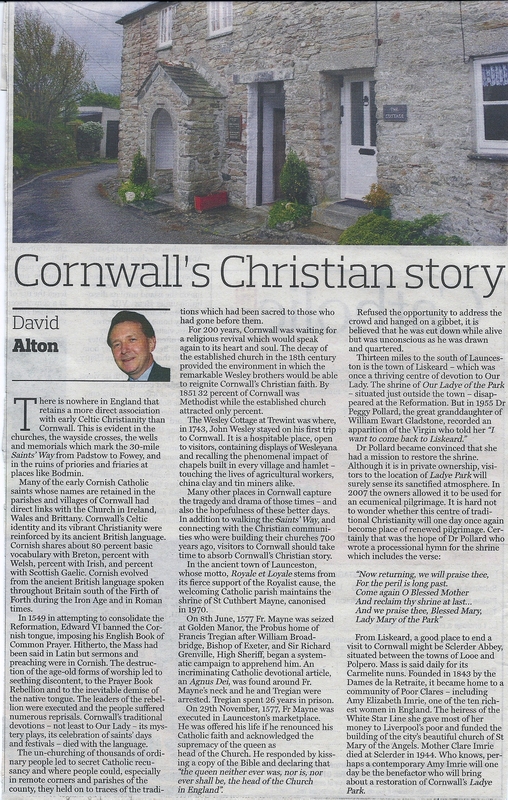 As at Padstow the Catholic origins of these Anglican churches are close to the surface. Towards the end of the nineteenth century Little Petherick came under the influence of the High Church Tractarian Movement. 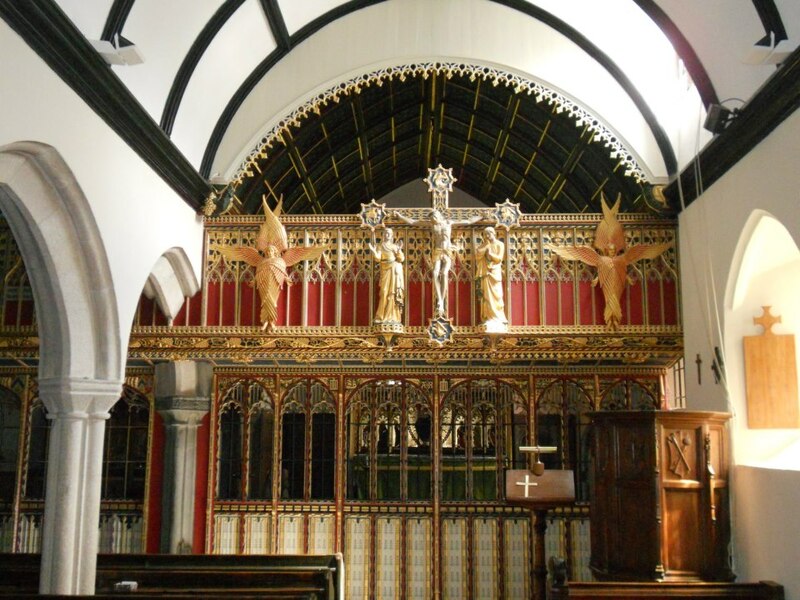 Their sense of beauty ensured that the beautiful oak Screen and the gilded reredos – which includes depictions of the Virgin, St.Petroc, St.Francis and St.Anthony of Padua (who crops up again at Golant) – would be entirely in keeping with the church’s medieval origins. 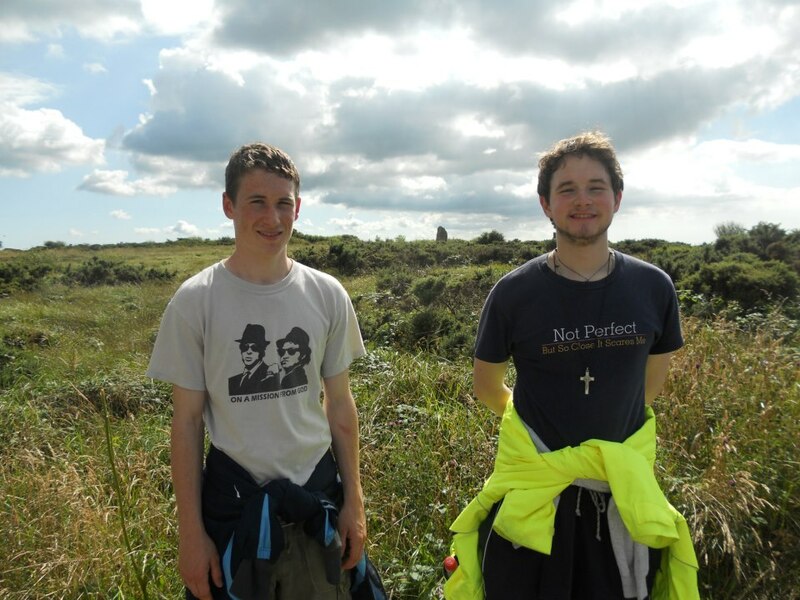 To the credit of local parishes and the Diocese of Truro, these first two churches – and others at Golant, Lanlivery and Fowey – were open to pilgrims. 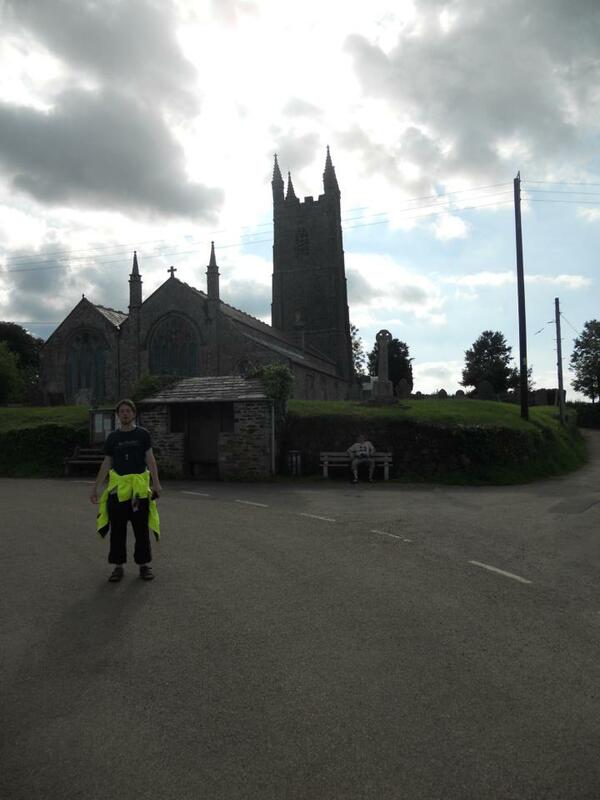 Sadly, the 13th century church of St.Clement (the third Pope, the first of the Apostolic fathers, martyr and patron saint of seafarers) at Withiel, and the church at Lanivet (a church first built on the site of a pagan sacred grove) were locked and bolted. 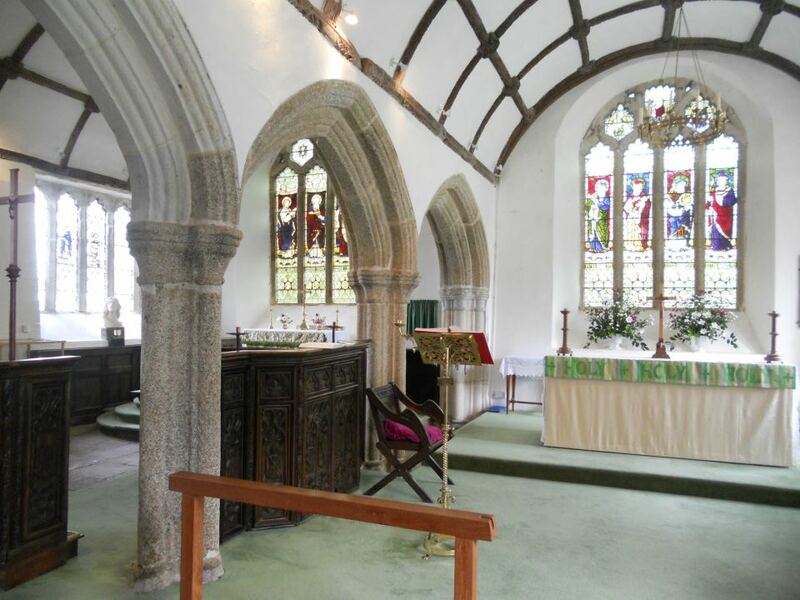 St.Clement’s dates from the thirteenth century but was rebuilt in 1523 by the Prior of Bodmin, Thomas Vyvyan – the last Prior before the Dissolution. The little town of Lanivet marks the half way point of the route and can be reached in a day. Nearby is St.Benet’s guesthouse. The cross of St. John of Jerusalem recalls the time when this was a hospice and lazar house in the care of the Knights Hospitaller a refuge for the sick and pilgrims alike. 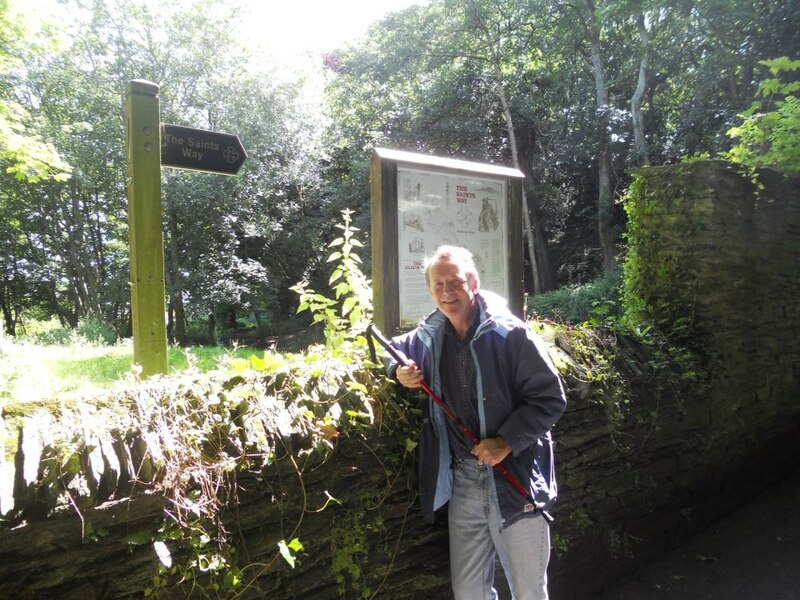 Taking up the trail again, across Helman Tor, the pilgrim is rewarded by a journey close to the River Fowey, through ancient woodlands, secluded valleys, nature reserves, and pretty villages such as Golant – whose church is dedicated to St.Sampson. In the 6th century Sampson arrived in Cornwall from Ireland – bringing sacred vessels and books, and performing miracles on the way. At Golant he established a monastery before embarking from Fowey to undertake powerful evangelistic work among the Bretons. 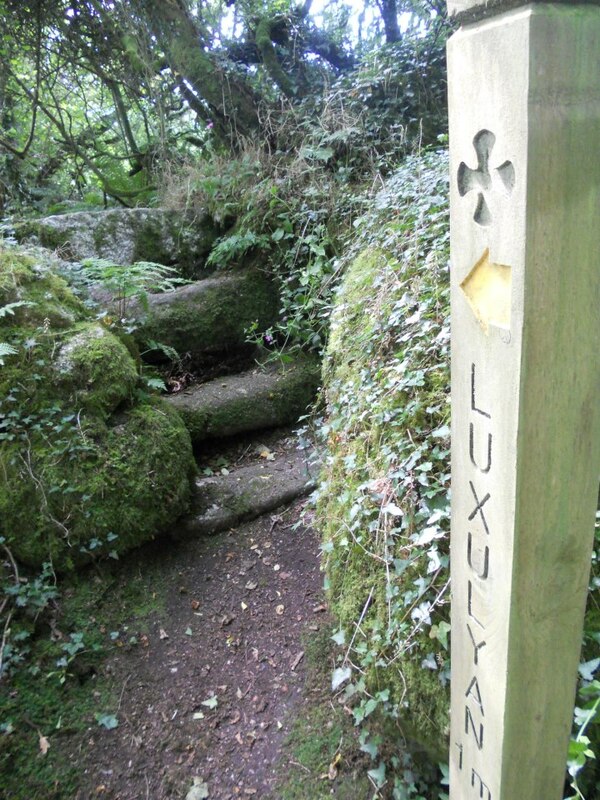 Alongside the church at Golant is St.Sampson’s Holy Well. From here the pilgrim finally heads to Fowey. 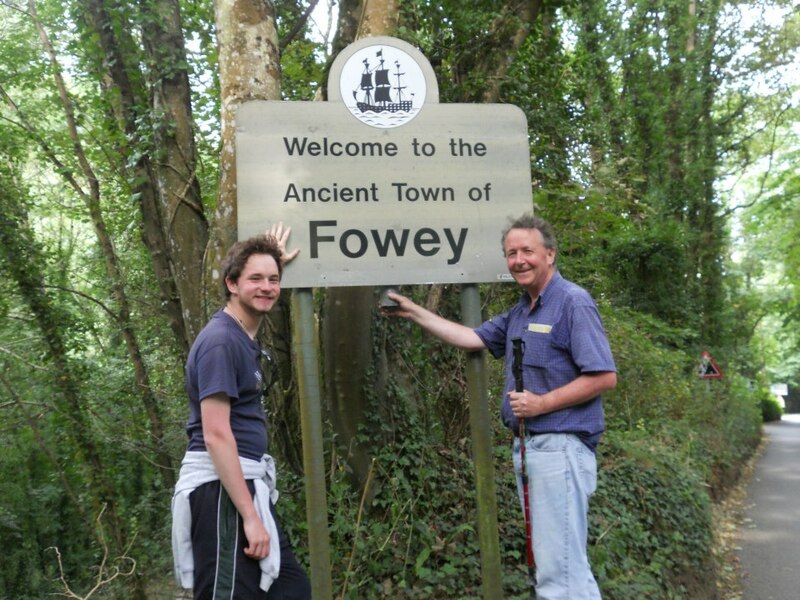 Unless you are embarking for Jerusalem, Santiago de Compostela, or, like St.Finbar, another Irish saint from the 7th century, who came through Fowey en route to Rome, this marks the conclusion of the Saints’ Way. Fowey’s fourteenth century church bears St. Finbar’s name but when the original Celtic church was rebuilt, it was re-dedicated to St. Nicholas, the Patron Saint of Pilgrims. Ensuring that all the churches along the Saints’ Way are open from Easter until Michaelmas would be a wonderful ecumenical and evangelistic project for the Bishops of Truro and Plymouth. 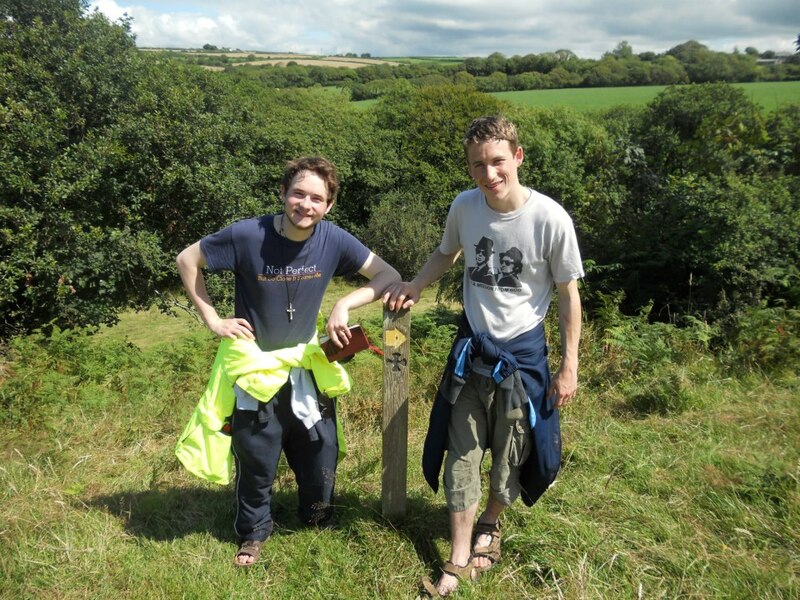 They might also ask Cornwall County Council to ensure that the mainly excellent markers on the Saints’ Way are visible and replaced where broken. 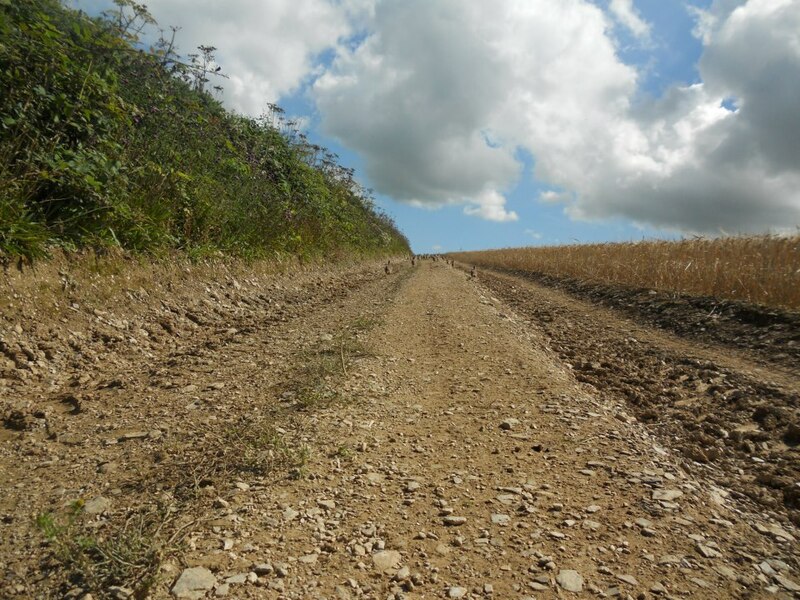 A few sections have no clear signing and where the route takes the walker onto the A390 it should be moved into adjacent fields. 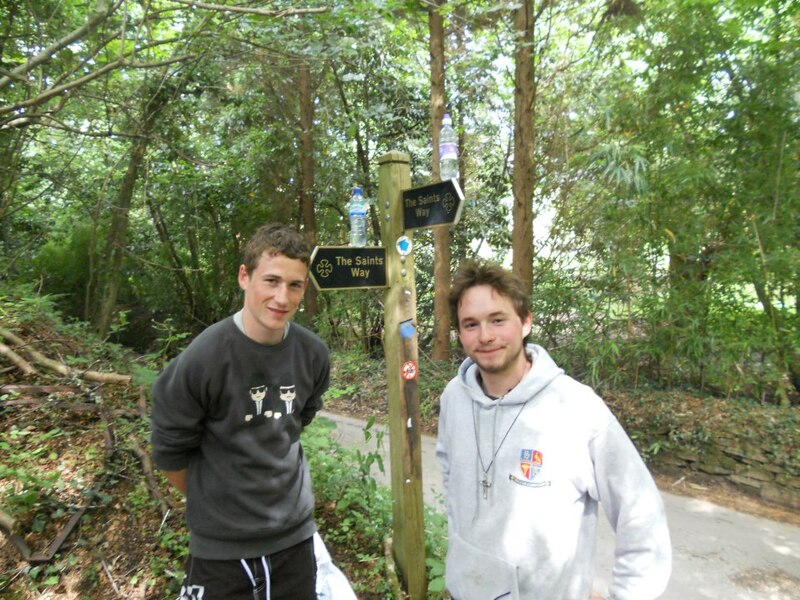 Over 30 miles we saw a total of just five or six other pilgrims. 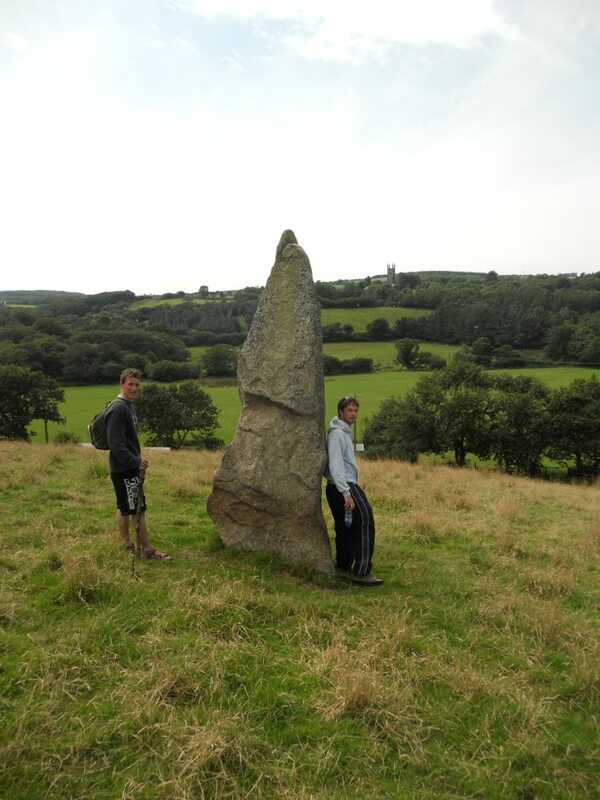 If the Way was more widely promoted, and perhaps combined with during school holidays with a couple of family events along the route, it would encourage more people to discover this little gem. Heulyn and Ginny Lewis have published an excellent pack of illustrated laminated route cards – “The Saints’ Way” pelicanstudioinfo@gmail.com ), with a lot of fascinating detail. But a small Catholic facility for retreat and reflection, and publications about the Faith, perhaps with a chapel of ease where the Blessed Sacrament could be reserved, would meet a real need. The 5th and 6th centuries – the Age of Saints – was a time of turbulence but the lives of men like St.Petroc and women like St.Issey – the child of the Welsh King Brychan and given the name “thirst” because of her unquenchable thirst for the waters of heavenly truth – connect directly with today’s turbulence and the search by so many Britons to find expression and meaning to their lives. It is impossible to walk the Saints’ Way without gaining powerful insights into our remarkable Christian heritage and narrative. 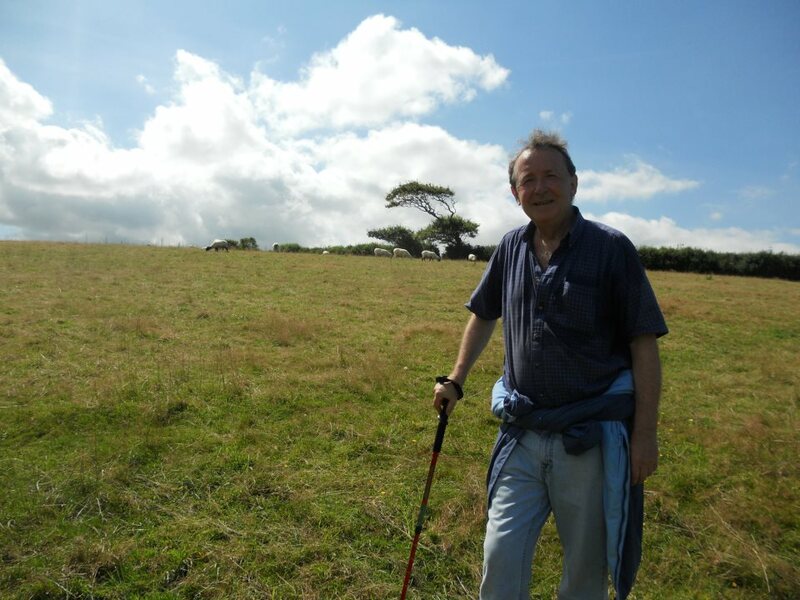 The footsore and weary pilgrim may now feel he has successfully completed his journey – but, as a rabbi once remarked, the man who thinks he is finished, is finished. 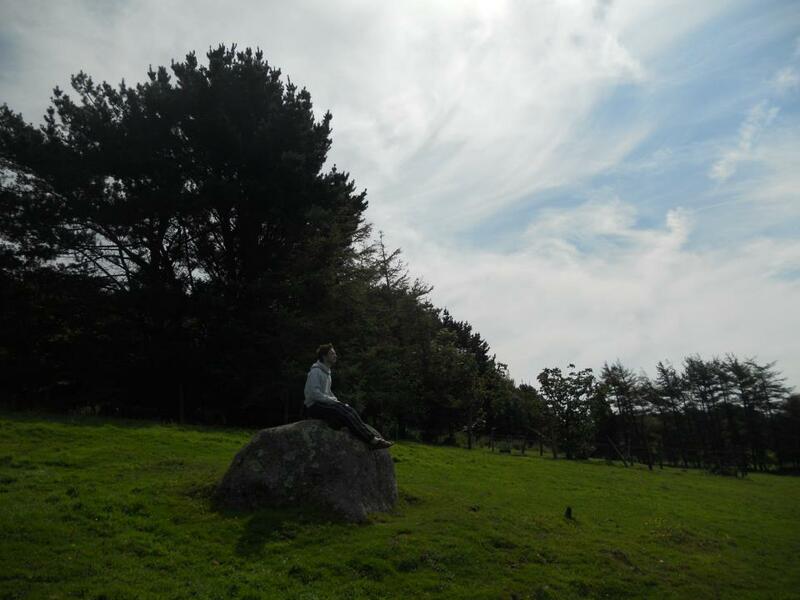 Pilgrim routes are just a beginning, not an end.